Christian Vazquez, who missed all of last season after undergoing Tommy John surgery, has been ruled out for Opening Day and was sent to the Disabled List to start the season. Blake Swihart will be the catcher for Opening Day in Cleveland while Ryan Hanigan will be the much-needed veteran presence behind him. With the Red Sox having three MLB-ready catchers in the system, two being rookies with maximum potential (in different areas) and a veteran, it's time they think about trading one of the three (Swihart, Vazquez, Hanigan). Actually, they must trade one of the three. Hanigan is already out of the picture of getting traded. He's 35 years old with a .255 career batting average, which in turn yields almost nothing if he were to be traded. 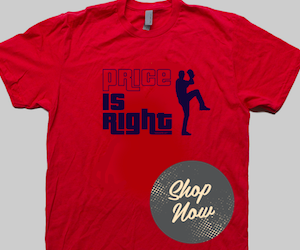 The real value comes with Swihart and Vazquez. Swihart is 23 years old and is known for his tremendous abilities on offense -- something that's incredibly rare in MLB catchers. He batted .274 last season as the everyday catcher for most of it, despite not being fully ready when he was called up. He surged in the second half at the plate as well, batting over .300. His defensive skills and game calling are his weakness. 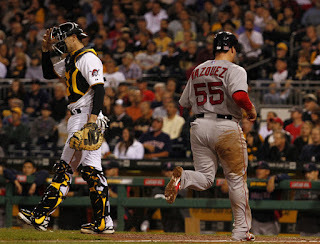 Vazquez is 25 years old and is known for his keen ability at calling games and gunning out runners on the base path. Many have compared him to Yadier Molina with his defensive skills. But, he did have Tommy John surgery which could effect his arm strength. In Spring Training, he hit .091 in 7 games. His weakness is similar to most catchers, which is with a bat in his hands. How's Christian Vazquez's arm strength looking? Rick Porcello: "He was throwing it harder back to me than I was to him." 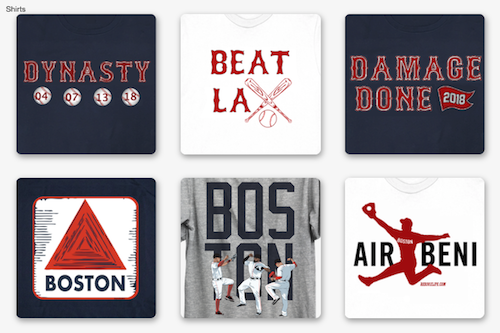 Swihart and Vazquez are almost complete opposites. But Swihart is a diamond in the rough of catchers. There are so many more catchers in the MLB who are better defensively than offensively. The only true good offensive catchers in the league are Buster Posey, Russell Martin, and Jonathan Lucroy. After that, the starting catchers around the league don't hit well enough to even bat in the first seven slots in the lineup. For Swihart, it'll be much easier to get better defensively by learning the pitching staff and gaining in-game experience at throwing guys out around the base paths in comparison to Vazquez who has to learn to hit big-league pitching. Hitting a baseball is arguably the hardest thing to do in sports. The liability of Vazquez is too much to put him over Swihart. That's why they should trade Vazquez. But, trading Vazquez would yield a lot in return. The Sox were rumored to be in on Carlos Carrasco of the Cleveland Indians just last week, and with not much at catcher, the Indians could use one. In return, not just in this deal but in any, Vazquez could bring back a number 1 or 2 starting pitcher which the Sox could use. Not many trades occur right before the season's start, but you never know: the Sox are in dire need of starting pitching and Vazquez would be the perfect piece to get some. I want the Red Sox to trade Vazquez, but the real question is what do you think?